Painting work on customer vehicles often leaves paint mist. On top of that, there are also scratches or weathering in some cases. Nevertheless, your customers expect a clean and smooth paint surface that shines perfectly and does not show any signs of repair or painting. 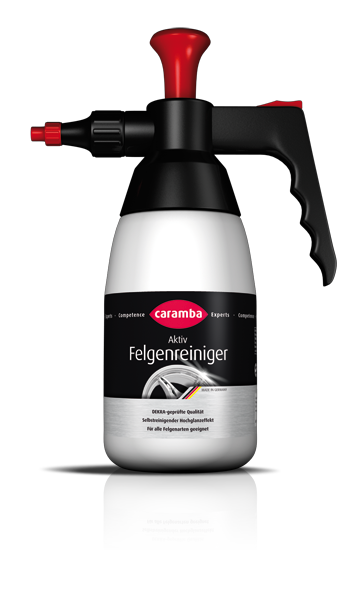 For this purpose, Caramba has a number of products for paint preparation and treatment after paint repair on offer. Caramba abrasive polish is one to them. This abrasive and silicone-free polish for mechanical and manual application can be used to prepare and polish paints and synthetic glass. After each paint repair, but also for polishing up older or heavily stressed paints, an efficient finishing is recommended to restore the vehicle’s original shine and colour depth as well as to remove scratches. With Caramba’s abrasive polish, this is now even easier. This heavily abrasive paste removes even the deepest scratches and any irritations. In addition, paint mist and weathering are removed quickly and effectively. This abrasive polish is ideal as finish after painting and ensures a high degree of smoothness while deepening the colour and giving brilliant shine. This product is perfect for fresh paint, UV paint and even for synthetic glass. 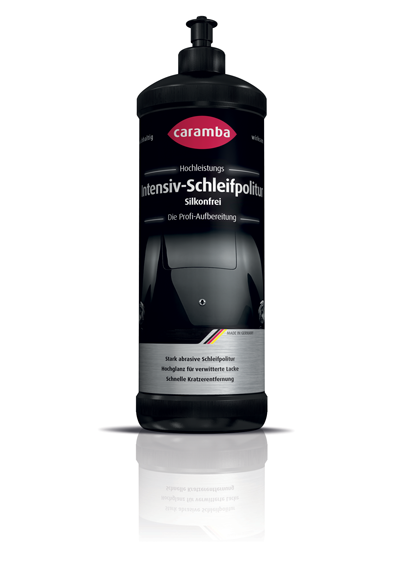 Try Caramba’s abrasive polish and give your customers’ vehicles or sales vehicles a perfect finish using this high-performance intensive abrasive polish. Clean the area to be treated first. Then apply the abrasive polish on a polishing sponge or lambskin and rub it in crosswise. This polish is also suitable for mechanical application. You can vary its effect depending on pressure, abrasive and rotational speed. Start with a higher pressure and a low rotational speed. It is recommended to use a microfibre cloth to remove any polish residues.